Inside the walls, you’ll find a city of monuments and medieval houses, such as those at the Piazza Mercato, situated on the site of an ancient Roman theater. Houses were built against the walls of the theater, and the piazza’s distinct oval shape reflects the theater’s outline. I enjoyed walking Lucca’s medieval streets and admiring its interesting architecture some of which soared to great heights. 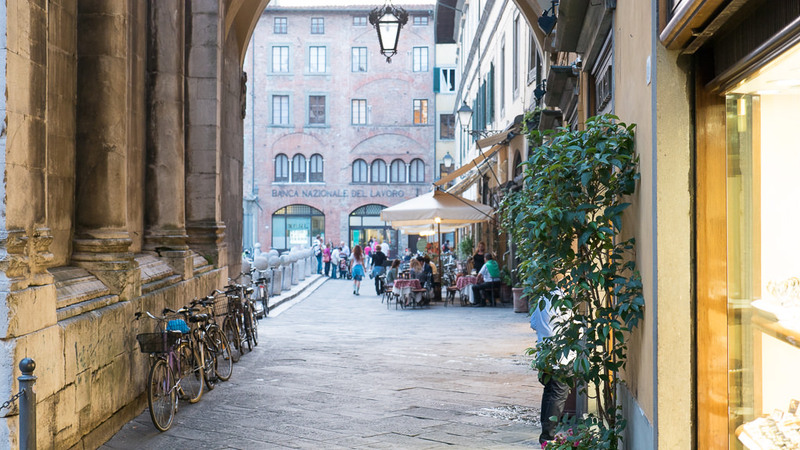 Take time to stroll along Via Fililungo, Lucca’s version of the Via Veneto in Rome and a great way to end your time in this charming Italian city.